by Dr Agilan Arjunan , Fertility Specialist , KL Fertility Centre ( Malaysia). 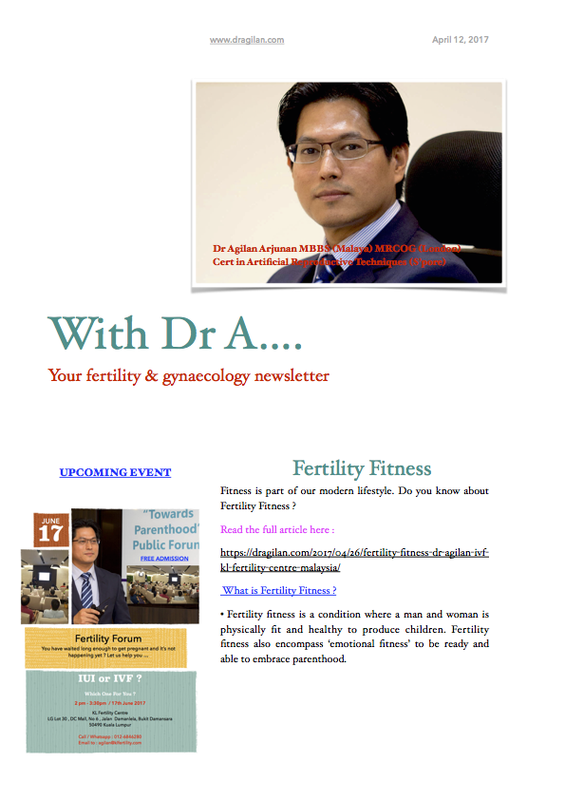 This is the 2nd volume of my Fertility & Gynaecology E-newsletter. Previous Fertility Forum : IUI or IVF ? Next Who Stole My Fertility ?